BUY Box Tops Products. You can find pink Box Tops on hundreds of boxes for products such as tissues, granola bars and cereal, etc. Each Box Tops clip is worth 10 cents for Countryside. CLIP the Box Tops from each package (please make sure they are not expired). SEND the Box Tops into school in a baggie, envelope or on a Box Top collecting sheet that comes home in your child’s folder. Include teacher name, student name and grade to make it count for the annual competition (the class that collects the most Box Tops this school year gets a popsicle party in June!). EARN cash for Countryside! We receive a check to use at the school’s discretion. Save some money while helping the school. 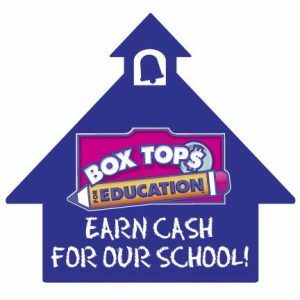 Sign up at www.boxtops4education.com to receive coupons and see current funds raised through this effort. Clip Labels for Education from participating products and send them to school. Brands include Campbell’s, Post, Pepperidge Farms, V8, and Pop Secret. Look for the collection box outside the school office. Visit the Labels for Education site to get a list of participating products and to find out about bonus offers.